September 26th is European Day of Languages. The European Day of Languages is jointly organised by The Council of Europe and the European Union and celebrates linguistic diversity in Europe. 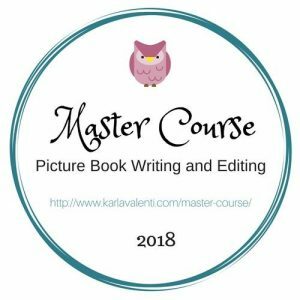 I have compiled a list of some of the picture books that I have used to introduce English vocabulary to non native English speaking children. We have raised our daughter bilingually from birth and have been consistent in our approach. I always speak my native English, my husband speaks his native German. Our daughter is fairly consistent in the language that she uses with each of us and whichever language she uses to speak we answer in our native languages. The approach has worked for her, she is completely bilingual and wants to learn a third language. We know families that have taken other approaches. We have friends who speak English as the home language while their children have learnt German in school, kindergarten and through various extra-curricular activities. We also know native German families with a parent who has lived in an English speaking country, that parent speaks consistently to their child in English. I once taught a child with a German mother who made sure that at least one of her daughter’s bedtime stories each day was in English and at the age of six the child’s understanding and ability to speak English was already quite impressive. Picture books are a great way of introducing children to a new language and brightly coloured pictures support a child’s understanding while they listen to a story read in a language that they don’t understand. I have put together some of my favourite picture books for reading to non native English speakers, both for learning and for enjoyment. Some of them have been widely translated, it excites a child when they recognise the cover of The Very Hungry Caterpillar from their own native language. 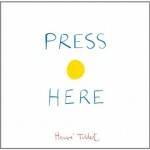 Press Here is the English translation of Un Livre by Herve Tullet and is a great book for introducing colours and commands. I have ‘read’ the book to groups of children with mixed English language ability and they all join in and become involved with the actions from the book. The book is a great icebreaker when you are working with any new group of children. 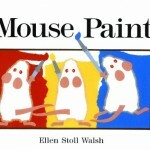 Mouse Paint by Ellen Stoll Walsh is great for introducing colour vocabulary and the sentences and pictures are simple. It tells the story of three mice who mix the primary colours to make new colours and it’s a great stimulus for art and craft activities. Dig, Dig, Digging by Margaret Mayo and Alex Ayliffe introduces a range of vehicles. The simple, bold illustrations and the easy to read rhythmic text make this a perfect book to share with non native English speakers. There are other books in the same series. 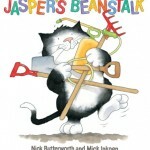 In Jasper’s Beanstalk by Nick Butterworth the days of the week are introduced as Jasper plants his beanstalk. There is very little text and the pictures effectively tell the story of Jasper’s attempt at planting and tending to his bean. Another good book for introducing days of the week is The Very Hungry Caterpillar. Many of Eric Carle’s books are great for introducing basic English vocabulary. From Head to Toe introduces parts of the body, Brown Bear, Brown Bear, What Do You See? and The Mixed-Up Chameleon introduce colours and animals and The Very Busy Spider introduces farm animals. 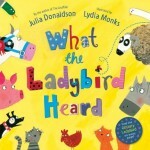 Another colourful picture book which introduces farm animals and the noises that they make is What the Ladybird Heard by Julia Donaldson and Lydia Monks. This cleverly written story allows a teacher to ask children which noise an animal really makes to consolidate their understanding of animal vocabulary. Dear Zoo is a great read aloud and also encourages children to interact with the story by lifting the flap to discover which zoo animal is underneath. The repetition allows the child to join in and it is also a great book for helping to introduce adjectives to older children. 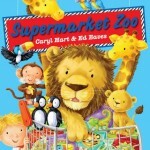 Supermarket Zoo is a fun story which includes a variety of animals in a situation that is familiar to all children. Whatever language they speak children find the bird pooing on Mum’s head funny and are always impressed by Mum’s final purchase! 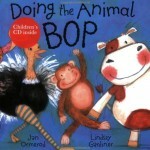 If you need a five minute filler all children will have lots of fun Doing The Animal Bop. Whether waddling like a penguin or mooing like a cow the CD with its calypso rhythm has everybody joining in. 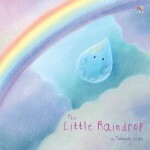 I used The Little Raindrop by Joanna Gray and Dubravka Kolanovic as part of a water topic with a group of children in a language class. Their understanding of English was varied but the simple text and pictures effectively meant they could follow The Little Raindrop’s journey and understand the concept of the water cycle. 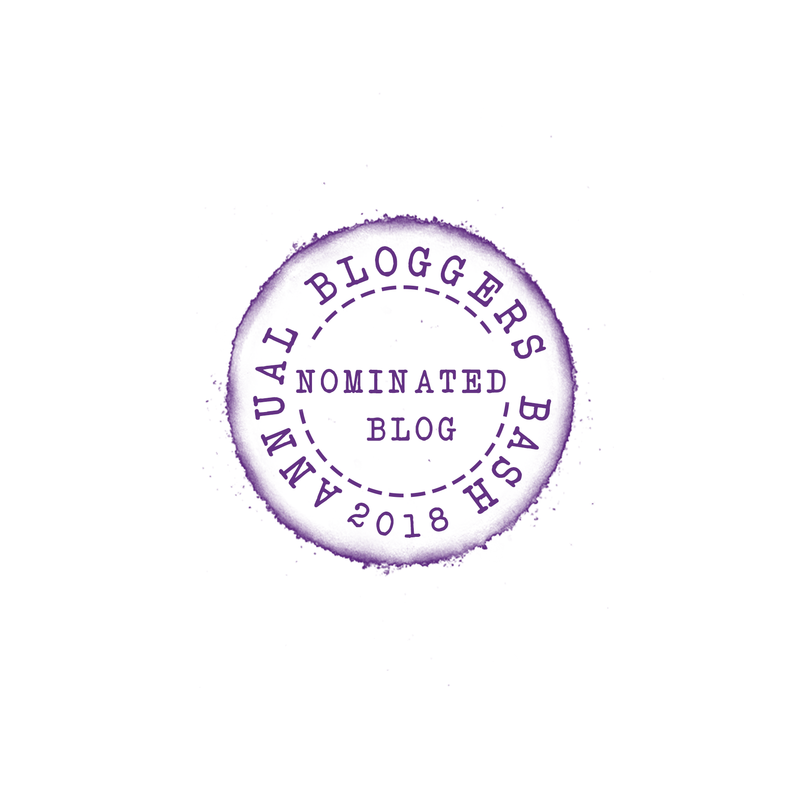 As a blog that is written mostly to recommend books to expat readers I always check to see if the book I am recommending is translated into German, Spanish or French for blog readers who have non English speaking children. I can’t vouch for the quality of the translations and would love to hear your opinion in the comments about the translation of a particular book that I have recommended. I would also love to hear other suggestions for picture books that you have used successfully with non native English speakers. 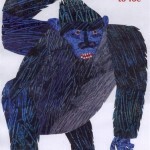 Hello, have you come across our picture books by Patrick George? Books with acetate which magically transform the image underneath? Shapes, Colours, Numbers and Opposites are great for teaching young children the concept and the English language. They have been translated into French, Italian, German, Spanish, Catalan, Danish and more. Please get in touch if you need more info. Your picture books look lovely, so bright and colourful and I’m intrigued by the acetate concept. I’ve visited your site, and followed you on Facebook and Twitter so I can keep up to date with your books as they are published. These books look lovely. Dear Zoo is my daughter’s favourite book but it had never occurred to me to use it to teach her words in another language! Thanks for linking up with #WeekendBlogHop! You’re welcome 🙂 My daughter would like to learn French so we’re planning to buy some of her favourite picture books translated into French. Ages ago I used to work in a school and i remember how amazing it was when children arrived with no English and in it what seemed like only a few weeks they were chatting away with the other kids so you could hardly tell English wasn’t their first language. Children are like sponges, it’s amazing how quickly they start to learn a language once they’re immersed in it. I’ve taught non native English speaking children who within five days understand simple commands e.g. go and wash your hands, sit down. They’re often not afraid to try and speak a new language either, unlike us adults! I really like your blog, it is a great service you are doing. Even native English speakers can profit from your recommendations as I teach my daughter Spanish I can now find her favorites translated well in Spanish. Thank you! Thanks Christine, I’m very happy to hear that Story Snug can help you find books in Spanish. We are doing the same with French. Hey! 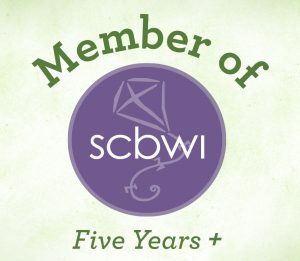 I came over from the Kid Lit Blog Hop and was excited to find another book blogger who has a bi-lingual child, with exactly the same languages. I speak English with my daughter and my husband German…which leads me to my next big important question, do you live in Germany too?!? I love the concept of this list! We have a lot of expats and non-native speakers in our Multicultural Kid Blogs group, so will be sharing! Great list Catherine. Many of our favorites on there. Did you see Herve Tullet’s new book Mix it Up! Its fantastic! 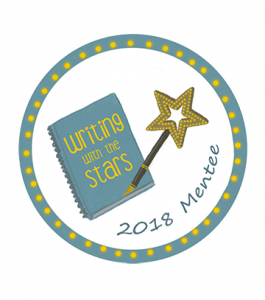 Thanks for joining us on KidLit BlogHop. I haven’t seen Herve Tullet’s new book but I’ve read some great reviews. Many of Julia Donaldson’s books have been translated into several different languages and even if you don’t know the story in your native language you can follow it fairly well. Eric Carle’s translations are also great for introducing new concept words like animals and colours.